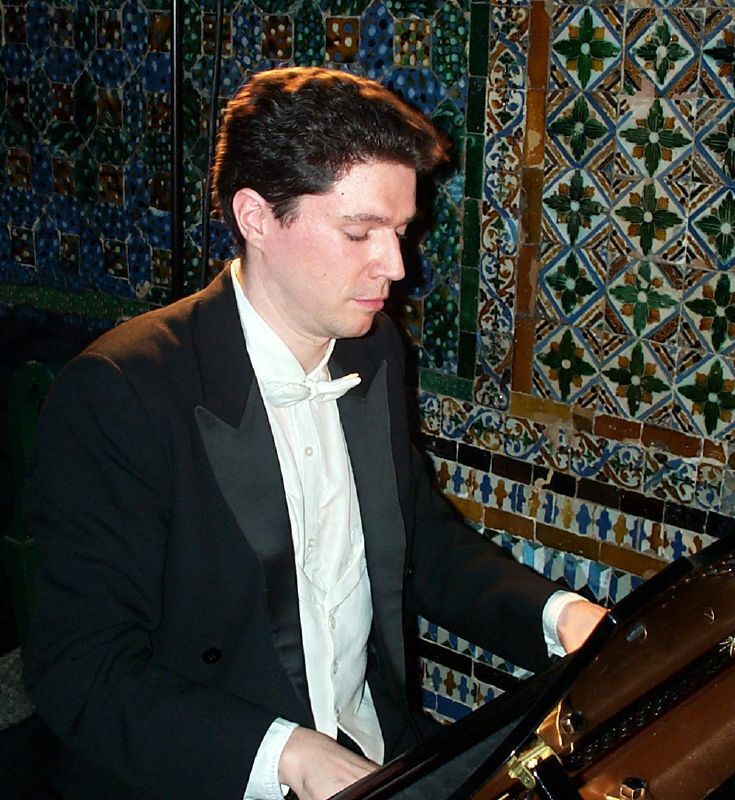 Spanish composer and pianist born in Madrid. He’s interested in expansive systems of musical analysis, he creates concrete techniques that grow from the need of solving the problems that appear upon asking questions on the work of art, being these musical, literary, pictorial or of any other type. For the application of these analytical techniques, consisting of adittional modules for a specific operation, he uses various branches of the knowledge, such as philosophy, biology, mathematics or physics. He also uses concepts as language, form, idea, style, proportion, invention, et cetera, that are transmitted throughout the History, from work to work, from art to art. They are analyzed and became trasferable information, capable of being used objectively (or subjectively) to explain or to create what is wished. His interest by the mathematics leads him to create the Scientific Serialism, musical possibilities that arise from the functions, the operations and the numbers of this exact discipline. In the Scientific Serialism can be found series of sounds from mathematical functions such as the function Gamma of Euler or the Zeta of Riemann, irrational numbers as pi, e or phi, whole numbers like the prime ones, of Fibonacci and Lucas, cyclical, poligonals, binominals, multifactorials, et cetera. As composer, his more than 80 works belong to various styles and musical genders, obtaining result from the possibilities of the modern and ancient historical tradition, as well as from the systems that he creates to compose, stem from his analytical investigations. His work spreads from the chamber music to the symphonic coral and operatic. It’s also worth to underline his works for scenic music (with the Calatalifa group of theatre of Madrid, for which he wrote the scenic music adapted to the tragedy of Sophocles “Antigona” and to the comedy of Aristophanes “Lisistrata”), piped music, and his projects as arrangementer and orchestrator. VICTOR CARBAJO - When I was a child, composing was a game: I was fascinated by how some signs became sounds and trying their combinations. Later that fascination became necessary. VICTOR CARBAJO - I compose on musical whims. Everything starts with a fleeting idea. I write it down and keep it somewhere on my desk and on my memory. I return to it in short or long periods of time, until it becomes stronger than me and I have to develop it to create a finished musical composition. 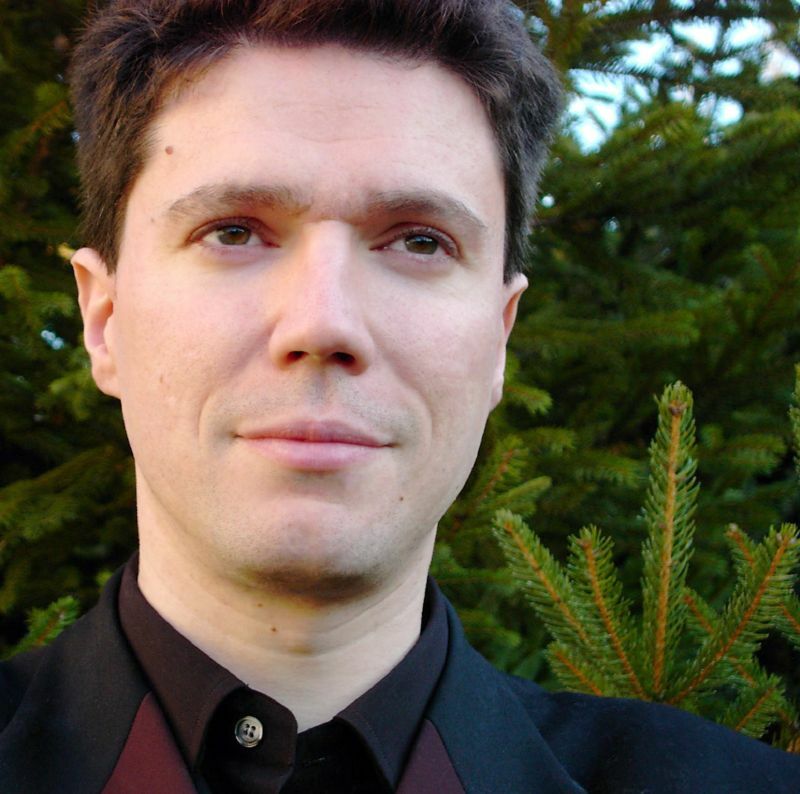 VICTOR CARBAJO - My solo piano music is where I have left a comprehensive summary of all my compositional interests. VICTOR CARBAJO - My sister Lola says I only write 3 music styles: pretty, funny or weird. VICTOR CARBAJO - There are so many… Those who influenced me when I started writing music still do so today: Carl Philipp Emanuel Bach, Grieg, Puccini, Debussy, Ravel, Falla, Bartók, Ligeti…, although in recent years there is a very powerful influence on my music: myself. OPUS DISSONUS - In your Biography you mention the Scientific Serialism. How does it works and where the people/composers can find more information about it? VICTOR CARBAJO - Scientific Serialism is basically an extension of dodecaphony; I translate numbers to base 12 and treat them like long series, so that all the sounds of the work are product of the internal structure of these numbers. My essay on the Scientific Serialism is pending publication. OPUS DISSONUS - Are the works “Mersenne X” and “Mersenne XIII”, which I believe their names are a reference to Marin Mersenne’s name, results of this Scientific Serialism technique? And by the way, are there more 11 Mersennes planned for the future? VICTOR CARBAJO - “Mersenne X” and “Mersenne XIII” are today the only works published on my personal website created from Scientific Serialism. They are the 10th and 13th Mersenne primes, and I don’t rule out the possibility of writing more Mersennes. OPUS DISSONUS - The work “El Españolito. 60 Variations on the Marcha Real Española” show us your control of different compositional techniques, but on the other hand, a great part of your works are tonal. Is this just a preference? VICTOR CARBAJO - It is very difficult for me to escape from tonality, although sometimes my musical whims are atonal. I can’t help it: sometimes I imagine tonality, and others, atonality. OPUS DISSONUS - How started your interest in writing scenic music like your “Antigona”? VICTOR CARBAJO - I like working with other artists so I do not rule out writing more scenic music in the future. OPUS DISSONUS - You have a very beautiful CD recording with some of your works played by Moldavia National Chamber Orchestra. Do you have plans for new orchestral pieces and CDs? 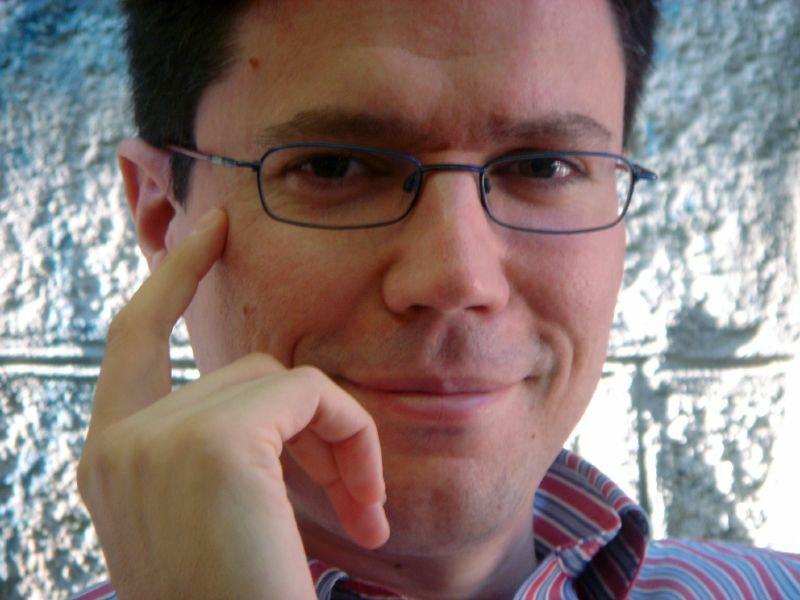 VICTOR CARBAJO - Regarding recordings there are several projects on the horizon: a CD dedicated to my music for flute and I also plan to record all my solo piano works. On the short term I have not devised any orchestral work. OPUS DISSONUS - How difficult or how easy is for you to find space for playing your own works in the concert hall? VICTOR CARBAJO - Classical music will occupy less space in our world, but that little space will become deeper. VICTOR CARBAJO - I am meeting a lot of potential: I am always surprised by unknown young talents who will become the future. VICTOR CARBAJO - To compose a lot, to analyze a lot and let their intuition guide them to unknown places. VICTOR CARBAJO - I love putting limits to myself, as I do with pandiatonalism. If I am totally free, I can repeat me, but by confining myself, I am, paradoxically, freer because I find roads in me I didn’t know of.